Staff Sgt. 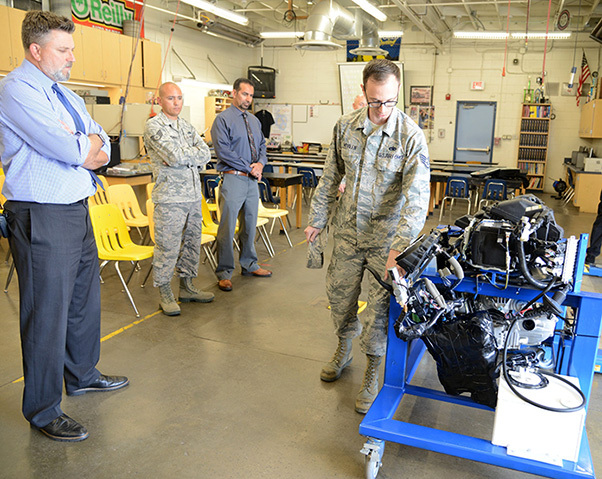 Steven Whalen who works at the 369th Recruiting Squadron’s Lancaster, California, office, talks about the features of a 2018 Nissan Leaf engine with Quartz Hill High School principal Matt Anderson (left) May 21, 2018. Auto shop students at Quartz Hill High School have a new learning tool courtesy of the Air Force. The Lancaster, Calif., Air Force recruiting office spearheaded the donation of a new 2018 Nissan Leaf engine, which was introduced during a small ceremony at the school May 21. Staff Sgt. Steven Whalen, 369th Recruiting Squadron, Lancaster office, made good on a promise while visiting the school a few months ago where he spoke with students about Air Force careers. A self-described car person, Whalen thought it would be beneficial to everyone if he could get the auto shop a modern fuel-injected engine to work on. Whalen contacted Pacific Auto Recycling Center in Lancaster and pitched his idea, which was embraced by the local business. As the story goes, the 2018 Nissan Leaf was built last September and was on its way to a rental car company when it fell off its transport and was totaled. However, the engine remained perfectly fine. 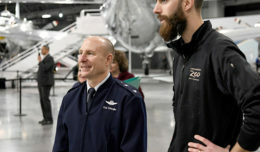 After the recycling center agreed to donate the engine, Whalen used his connections in the Air Force to reach Staff Sgt. Julio Rodriguez at the 412th Aircraft Maintenance Squadron at Edwards Air Force Base. 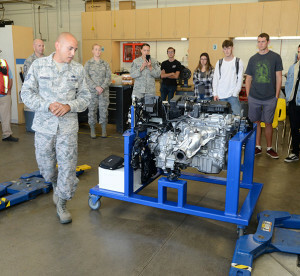 Rodriguez and his fellow Airmen constructed a metal stand, which makes it easier for the students to work on the engine, according to Whalen. Rodriguez was assisted by Senior Airman Cameron Canupp, Richard Salamone and William Shanyfelt. Staff Sgt. Julio Rodriguez, 412th Aircraft Maintenance Squadron, talks to students about the stand that was built to hold a new engine that was donated to Quartz Hill High School May 21, 2018. Rodriguez was contacted by a local Air Force recruiter who spearheaded the engine donation. The engine was unveiled before auto shop students and Quartz Hill High School faculty, along with recruiters from the L.A. County region. 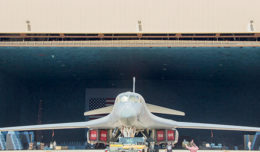 “The Air Force needs mechanics and to have this as a permanent fixture in the class will certainly remind the students that they can have a career in the Air Force,” Whalen said. For their efforts, Whalen, Rodriguez and staff from Pacific Auto Recycling Center were presented appreciation plaques by the Quartz Hill High faculty. For more information on Air Force careers, you can contact Staff Sgt. Steven Whalen at 323-326-3804.